For those with chronic obstructive pulmonary disease (COPD), medication is often prescribed but very rarely seems effective. New studies have found that over the counter medication may be better at lowering the risk of death and COPD exacerbations. 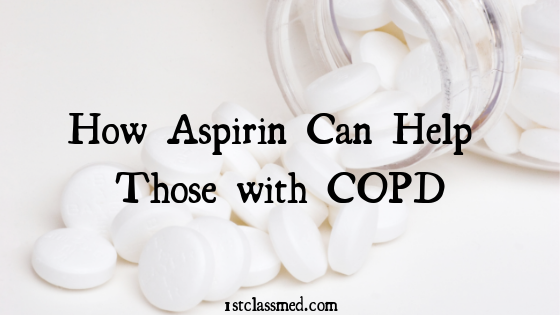 Low-doses of aspirin have shown to lower the risk of COPD exacerbations and risk of death. These findings can lead way to helping those with COPD by lowering exacerbations and risk of death. It is important to note that the study is considered observational and you should always discuss all medications (both prescription and OTC) with your doctor. COPD exacerbations are when those with COPD experience a flare up of acute respiratory symptoms. Not only are COPD exacerbations painful, but it can make a very serious disease even more complicated. For those with COPD, exacerbations are relatively common, so any form of preventing them is key to treatment. 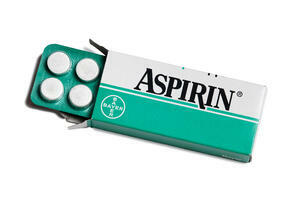 Aspirin may be one of those forms of treatment that can help reduce exacerbations according to a recent study. The risk of experiencing an acute exacerbation was reduced by nearly 18% in those who used aspirin compared to those who were not currently using aspirin. These findings were reported by Ashraf Fawzy, MD of John Hopkins University in Baltimore during the annual conference of the American Thoracic Society. Though aspirin can be beneficial to those with acute exacerbations, it has not proven beneficial to those with have more severe exacerbations. The connection of aspirin use for COPD exacerbation is that aspirin can help reduce inflammation as well as inhibit platelet activity. It can help with high platelet counts in those who have struggled to reduce their platelet levels. Currently the study is only observational and isn’t at a point of using the evidence as reason to give those with COPD, aspirin. The benefit of this finding is that aspirin is a low risk medication that has multiple other health benefits. Some of these health benefits include lowering the risk of heart attack and stroke. The main concern of aspirin is that it can cause internal bleeding, but your doctor will address if it is safe for you to regularly take or not. Risk of death is naturally higher in those with COPD compared to a healthy individual, but that may be changing. The risk of death in COPD patients is naturally higher as it can be difficult to breathe, resulting in less oxygen getting to the body’s organs and possible organ failure. Many with COPD also have thrombocytosis, which is high platelet levels in the body. Platelets are blood cells in our plasma that helps stop bleeding by clotting, but too many platelets can be unsafe for our health. If our body clots, it can lead to stroke, heart attack, a clot in our blood vessels or possibly even death. For those with thrombocytosis (high platelet levels), there was an increase risk of in-hospital morality and an increased risk of death in the following year. 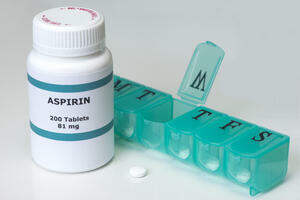 Aspirin inhibits platelet activity, so your blood is less likely to clot. When platelet activity in inhibited by aspirin it can reduce all-cause mortality in those with COPD. Though the study was only observational, it can bring light to a lower risk medication that many individuals can benefit from. More often than not, over the counter medication is looked at as a medication you can take without doctor approval, which is not always the case. For those with COPD, aspirin can be good and bad for your health, which makes it vital to discuss with your doctor before taking any medication regularly. The benefit of taking aspirin is that it can lower your risk of a COPD exacerbation and risk of death according to the study. It is also not a very high-risk medication, and taking it is not something that can cause extreme damage if taken correctly. The downfall to aspirin is that individuals who do not have high platelet levels may be at a risk of internal bleeding if they take too much aspirin. This is why it is key to discuss with your doctor, as they know your personal health history and can determine if aspirin is of benefit to you. Some doctors may want to wait until more research comes out to verify that it can actually be beneficial to those with COPD. New research has come out that is eye opening for those with COPD and may provide a low-risk option in reducing exacerbations and lowering the risk of death. Some individuals may already be on aspirin for a heart attack or stroke and it has proven to be beneficial for COPD as well. Before taking aspirin regularly, speak with your doctor to verify that using aspirin will not put you at high-risk of internal bleeding.